The UK Parliamentary Election Count for Paisley and Renfrewshire North and also Paisley and Renfrewshire South took place at the Lagoon Leisure Centre, paisley, Scotland on May 7/8 2015. The United Kingdom has gone to the polls to vote for a new Government in one of the most closely fought General Elections in recent history. There are 59 Scottish Seats up for grabs. 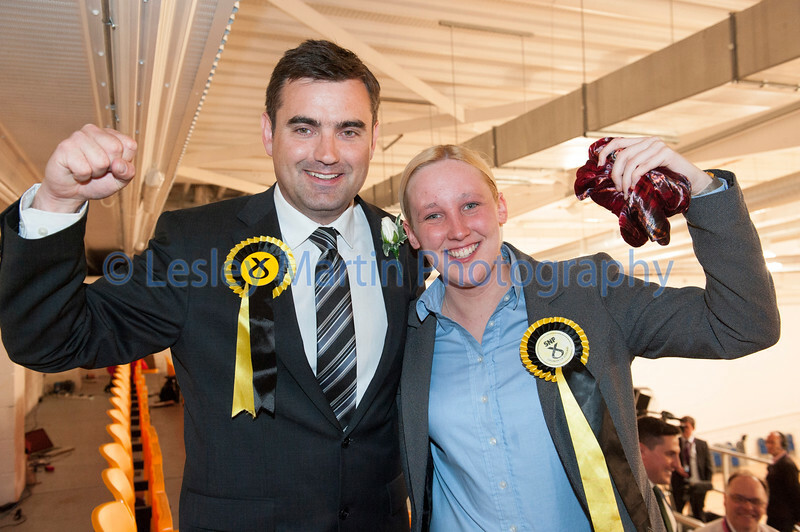 Pic: SNP Candidates Gavin Newlands and Mhairi Black who took Paisley and Renfrewshire North and South seats.